YUCAIPA, Calif. (KABC) -- A substitute teacher and former coach at Yucaipa High School was arrested on suspicion of having a sexual relationship with a student, authorities said. On Aug. 31, staff at the high school were alerted to allegations of a student having an inappropriate relationship with an employee of the Yucaipa-Calimesa Joint Unified School District. The school reported the allegations to the sheriff's department and the San Bernardino County Children and Family Services. Detectives launched an investigation, gathered evidence and conducted numerous interviews. 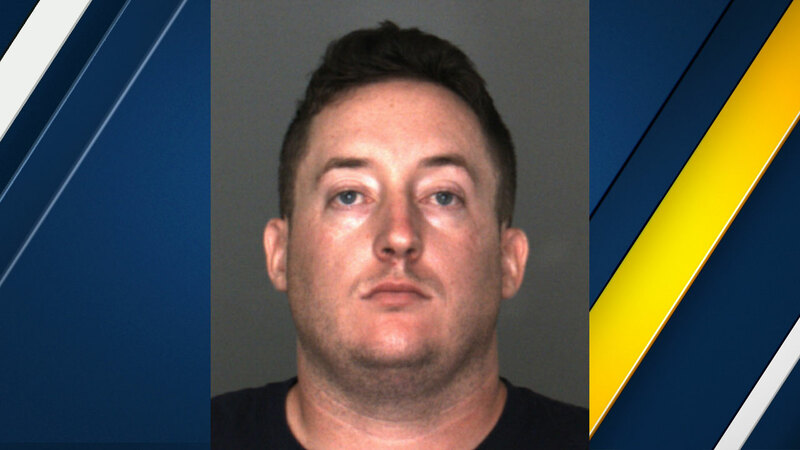 They learned the suspect, 26-year-old Yucaipa resident Trevor Jack Trathen, allegedly participated in illegal sexual conduct with the victim between February and March 2014. At the time of the crime, authorities said Trathen was a coach at the high school and met the victim when she was a student. During the investigation, Trathen was a substitute teacher for the school and has since been removed from the substitute system. Trathen was arrested on Saturday around midnight and booked into the sheriff's Central Detention Center on suspicion of oral copulation with a minor 14 years of age and penetration with a foreign object on a minor 14 years of age. He is being held on $200,000 bail. Authorities believe there may be additional victims.